Thousands of trade visitors and exhibitors from Greece and 40 other countries are expected to attend the “3rd Freskon – International Trade Show for Fresh Fruit and Vegetables”, a fair which will be held from 27 to 29 of April 2017 in Thessaloniki. Under the 3nd Freskon will take place the “International Kiwi Congress”, which aspires to bring forth this product and explore its perspectives productively and commercially. 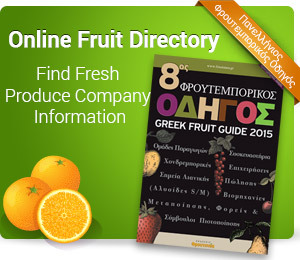 Also, there will be numerous parallel events and of course the “FreshCon Market 2017”, the event which includes B2B meetings between Category Managers of the Department of Fresh Fruit and Vegetables of the leading supermarket chains in Greece and the Balkans and professionals of the fresh produce sector. The organization of Freskon 2017 is co-organized by TIF-Helexpo and Froutonea Magazine. The trade show is aimed at packaging and fruit distribution companies, as well as importers, exporters, wholesalers, retailers and other professionals. Exhibitors that are going to take part at FRESKON are also packaging, logistics, machinery companies, as well as chemical laboratories, nurseries etc.